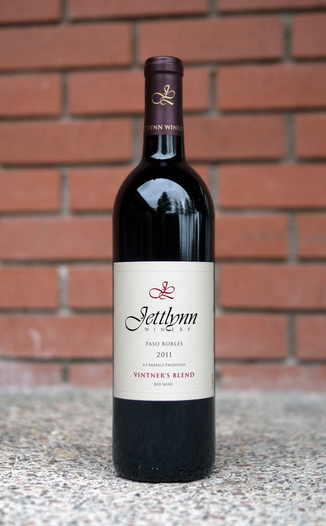 Every Jettlynn Wine we’ve ever featured has Sold Out, so please be sure to reserve yours soon. 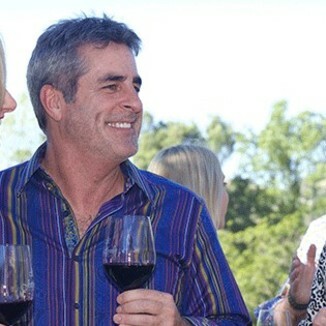 2013 was the best vintage on record for most Paso Robles varietals. 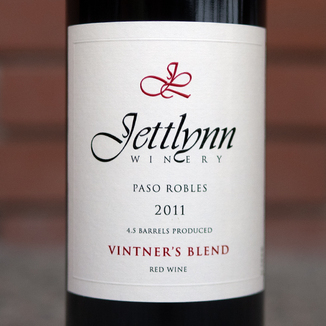 Today’s Jettlynn 2013 Paso Robles Vintner’s Field Blend Red Wine Reserve represents the best of the best from Paso in 2013, in a juicy, delicious, food-fantastic package that’ll have you wishing that you’d gotten more. End of vintage and limited. Looks like a serious blend with high density, nice garnet, and a thin lip of auburn at the edge. This is what blends are all about! This nose is wild and hooks you immediately. It has notes of very ripe papaya and cantaloupe up front, which transition smoothly into spicy sandalwood and black pepper, before resolving into the red fruit note of ripe black cherry. The intrigue continues on the palate as the combination of cherry, allspice, red peppercorn, cigar box, and persimmon dance around the palate madly. This red blend will hold your attention. It’s easily quaffable with agreeable tannin, acidity, and alcohol. We suspect this bottle might be emptied quickly. This would be awesome with some interesting flavors such as Korean BBQ or a bibimbap bowl. Paso Robles, in California’s Southern Central Coast region (San Luis Obisbo County), is one of California’s oldest and fastest-evolving wine growing regions. 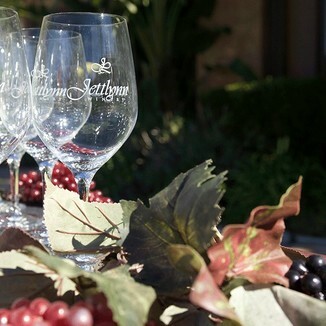 The first vines were planted in the late 1700s by the Spanish missionaries. Paso’s unique climate influences its vines more than any other area in California. The hot, dry, weather (that is only minimally affected by coastal fog) and wine, results in grapes that are more concentrated in flavor and intensity. This climate makes Paso uniquely suited to grow the big red varietals including Zinfandel, Syrah, and as in this wine, Cabernet Sauvignon. High density, nice garnet, and a thin lip of auburn at the edge. Ripe papaya, cantaloupe, sandalwood, black pepper, ripe black cherry. Cherry, allspice, red peppercorn, cigar box, and persimmon. Easily quaffable with agreeable tannin, acidity, and alcohol. Korean BBQ or a bibimbap bowl.